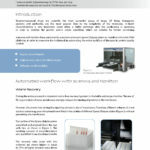 scienova offers you a solution for permanent and clear sample labelling. And all this while simultaneously increasing your productivity. Our high-performance cryogenic labels adhere reliably from minus 196 °C to 121 °C. With the software Barcode Forge scienova, which is adapted to the scienova labels, we also offer you a versatile label printing solution that makes sample identification much easier. A selection of accessories that make your dialysis work more practical is available in our online shop, such as deep-well plates, floats and clamps for dialysis tubes. With the distribution of high-quality laboratory chemicals from the manufacturer PanReac Applichem, we have now extended our laboratory dialysis range in our webshop to include buffer solutions, proteins and cleaning agents. In order to give our customers the opportunity to order all components for laboratory dialysis from a single source, we will continue to expand our portfolio in the future. 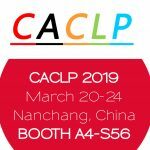 scienova makes its debut in China at the CACLP 2019, one of the world’s leading IVD industry trade fairs. With its Xpress Dialyzers, scienova presents a technology that is ideally suited for the investigation of free hormones such as testosterone, cortisol, T3 and T4 and is used for protein binding studies for the development of active biopharmaceutical products. We look forward to welcoming you to our partnership booth with Hangzhou Clongene Biotech Co., Ltd. number A4-S56. From now on the scienova-Shop offers high quality laboratory chemicals of the manufacturer PanReac AppliChem. 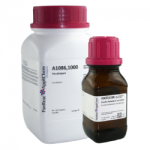 Thus you will find from now on further products around laboratory dialysis, such as buffer solutions, proteins and cleaning agents, in our assortment. When you purchase our Xpress Dialyzers, you receive a 10 % discount voucher for laboratory chemicals. The first 25 buyers of laboratory chemicals receive a 15 % discount voucher on the entire shop assortment. 10 years scienova – We celebrate anniversary. 10 years of scienova – 10 years of exciting projects, 10 years of growth and development, 10 years of innovative spirit and 10 years of durability. 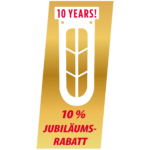 But 10 years of scienova are also 10 years in which we have won many customers who still trust us today. For this we would like to say thank you! Starting immediately, our end customers will receive a 10 % anniversary discount on our Xpress Dialyzers and Cryo-Labels. This promotion runs until 31.12.2018! With the goal of overcoming the current bottleneck in the automation of quality control of therapeutic proteins, scienova and Hamilton Robotics have joined forces to automate scienova’s Xpress dialyzer plates on Hamilton’s Microlab STAR. 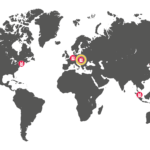 BioTech a.s. is a first-class specialist trade for laboratory located in Prague and sells scienova products in the Czech Republic, Slovakia and Hungary. We send our best wishes to BioTech and hope they will have a successful start. On 09.07.2018 we successfully passed our recertification according to DIN ISO 9001:2015. We are pleased that we have again passed the audit for our quality management. Our ability to innovate was particularly convincing last year, and we will continue to do so in the years to come. 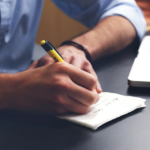 Quality is our claim – This is driven forward by a continuous improvement of our internal processes and the satisfaction of our customers. Gegründet im Jahr 2008 als Spin-Off des Instituts für Biochemie am Universitätsklinikum in Jena. Spezialist für automatisierungsfertige Dialyseprodukte und leistungsstarke Etikettenlösungen mit internationalem Vertriebsnetz. 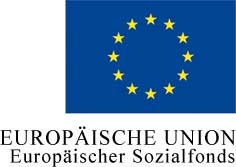 Zertifiziert für das Qualitätsmanagementsystem nach ISO 9001:2015.